Introducing probiotics supplements in your diet is beneficial to your overall well-being because the healthy microorganisms/bacteria are instrumental in maintaining a balanced and healthy environment in your gut. 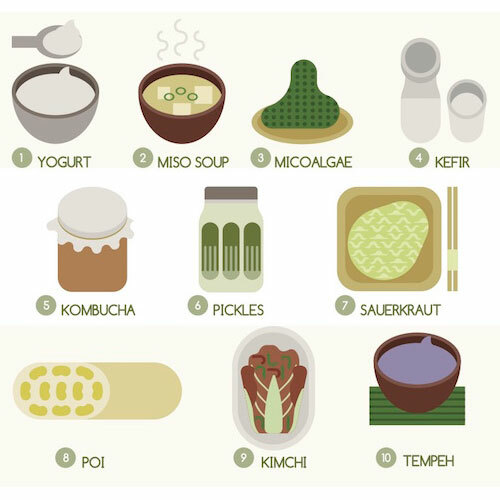 Although probiotics can easily be found in fermented foods like yogurt, sauerkraut, kefir and kimchee, many people do not have enough of the good bacteria hence they are exposed to a number of health risks. Probiotics help in keeping pathogens in check, aiding proper digestion, support nutrient absorption and contribute to boosting the immune function. Research shows that including probiotics in the diet will have many positive results for various conditions that range from allergies to asthma, urinary and vaginal infections as well as skin disorders such as eczema amongst others. That is, probiotics crowd out the bad bacteria and strip them of the ability to live within your body, thereby inhibiting infection, disease and inflammation. 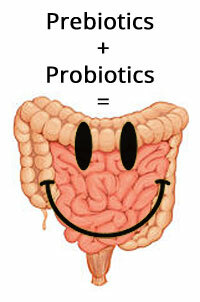 Probiotics are also instrumental in improving digestion. In addition, appropriate levels of probiotics within the gut effectively combat irritable bowel syndrome, diarrhea as well as inflammatory bowel disease. Furthermore, they also aid in the proper absorption of nutrients thereby ensuring that your body receives adequate amounts of minerals, vitamins, amino acids and fats from the food you consume. In fact, probiotics are necessary in the generation of vitamins such as folate, K as well as short chains of fatty acids. Ultimately, your brain, gut and primary defense system are interconnected. 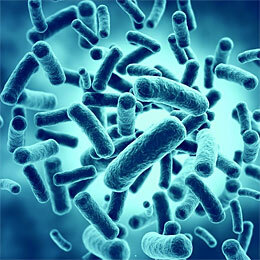 Consequently, the presence of healthy bacteria has a direct impact on the behavior of your brain. This has been backed up by research that has shown that correcting healthy bacteria within the gut is able to optimize neurotransmitter task that can significantly reduce depression, anxiety and stress and sharpen memory and focus as well as improve learning. Many times people ask when the best time to take probiotics is because probiotics are known to exist naturally in the gut. So then how can you tell that your naturally existing probiotics have been depleted and when to take probiotics. Antibiotic is translated to mean anti-life which this is a contrast to probiotic that means pro-life. 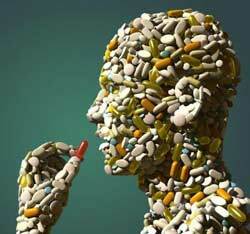 That is, antibiotics work by killing all the bacteria present in your body indiscriminately. Thus, if you have recently taken antibiotics, then you need to consider increasing your probiotic intake with the aim of reintroducing healthy bacteria in your body. Useful Tip: Antibiotics will prevent probiotics from thriving in your body. Therefore, it is best to not take them concurrently. But be sure to start taking your probiotics after you finish taking antibiotics. This will save you money. If you have experienced a case of food poisoning or you ate something and it did not sit well with your digestive system, chances are you have some bad bacteria in your body. The introduction of probiotic supplements will help in fighting off the bad bacteria, effectively restoring your digestion as well as bowel movement. Useful Tip: You will do well to consume probiotics before and during trips to a foreign country as a preventive measure. Having more healthy bacteria in the gut will improve your body’s defense against potential invasion. If you notice that your gut has not been functioning at optimum capacity and you have a digestive tract condition, then taking a probiotic is recommended. In most instances, introducing healthy bacteria will suppress the symptoms, needing no further treatment. Research has proven that probiotics are useful when dealing with conditions like constipation, gas, diarrhea, Crohn’s, inflammatory bowel disease and H. Pylori infection. Useful Tip: You will do well to consider improving your diet first by eliminating foods that are hard to digest like package, processed and fried foods, gluten, dairy and soy. 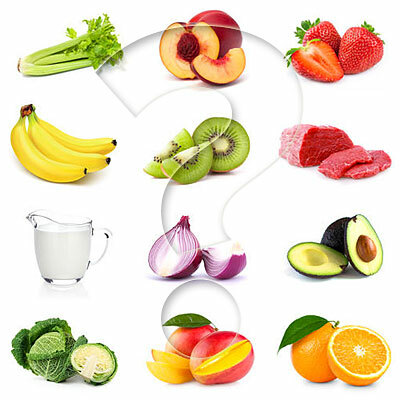 Should the condition persist, then consider introducing probiotics. If you experience skin conditions like rashes, eczema, acne, psoriasis and hives, then this could be linked to poor digestion or a possible imbalance in your gut bacteria. As such, you need to consider taking probiotics while you clean up your diet. Useful Tip: Should your skin fail to clear after the use of probiotics and an improved diet, you may consider opting for the use of digestive aids like digestive enzymes and HCL as well as agents that can heal the intestinal lining (aloe and glutamine). 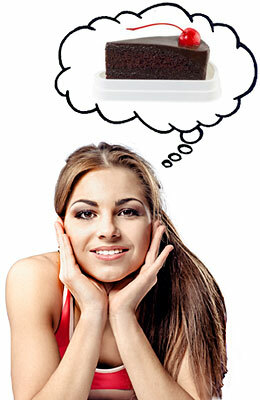 It may also be important to check your hormones when acne is present, particularly on your chest, chin and upper back. If you are constantly experiencing anxiety, stress, depression and irritability, then this may be linked to the poor state of your intestinal flora. Thus, you will need to use probiotics to normalize your flora thereby improving the functioning of your neurotransmitters and consequently your mood. Useful Tip: Should you notice that your mood has not improved with your consumption of probiotics, then you will do well to consider introducing live-source B vitamins as well as herbs that will strengthen your kidney. These might be the missing link in some cases of mood swings. If you catch a flu every year or have maxed out all your sick days and are prone to catching anything that goes around, it is time you tried probiotics. It has been clinically proven that probiotics will not only boost your body’s immune system but also strengthen defense against multiple illnesses. Moreover, healthy bacteria will train your body’s immune system to draw a line between foreign microbes and those that originate in your body. As such, probiotics is a great line of defense against infections. Useful Tip: To keep your immune system strong, consider taking probiotics every month through the consumption of probiotic rich foods. Research has shown that the contribution of probiotics in minimizing the severity as well as medication of asthma besides reducing allergies. In most instances, food allergy is attributed to a leaky gut that may be improved by improving gut health. According to studies, children with a healthy gut have minimal chances of developing asthma and allergies. Useful Tip: It is recommended that children be breastfed to prevent allergies and asthma as this protects them from abnormal gut flora through introduction of naturally occurring probiotics found in breast milk. Research suggests that probiotics have a therapeutic function in the autism spectrum disorder and that gut bacteria can contribute to a decrease in stereotypic, communicative, sensorimotor and anxiety-like behavior. Recurring yeast infections or candida could mean that you need to increase your intake of probiotics that will overpower the bad bacteria thus helping to relieve your body. Useful Tip: Eliminate the use of white sugar and reduce natural sugars and sugary carbohydrates significantly as this is what bad bacteria thrives on. Consuming probiotics rich foods and/or supplementing with probiotics is an ideal way to introduce healthy bacteria back into your gut and help you build a strong and healthy digestive system. Probiotics can even repair digestive problems caused by poor diet, a course of antibotics, a bout of food poisoning, or other condition that has disrupted the balance of healthy bacteria in your digestive system.